Most pet parents know the dangers of giving foods like chocolate, onions and grapes to their pets. Another such product that might be harmless to your but could be extremely dangerous for your pet is Xylitol. Xylitol is a common substitute that is used in the place of sugar. It is a sugar alcohol found in many human foods. 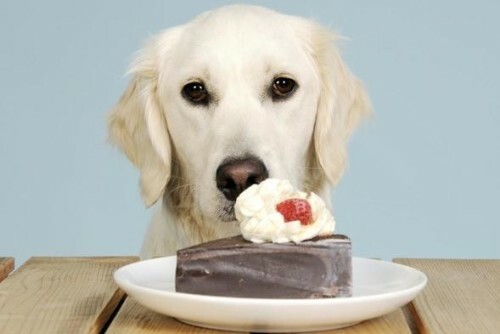 Although it is safe for us to consume, it causes serious issues in dogs. Xylitol poisoning is a condition that causes rapid insulin release in them in large quantities. Symptoms include acute weakness and vomiting. If consumed in large quantities, Xylitol can even cause liver failure in dogs. Chewing gum: Particularly the sugar-free ones most certainly contain varying amounts of Xylitol. Many gums like Orbitz contain Xylitol as it is good for your teeth and diabetics but if consumed by your dog, it directly affects their blood sugar and liver. Toothpastes and Mouthwash: Another common product which contains Xylitol owning to its sweet taste and ability to fight plaque. Avoid using your toothpaste for your pet and opt for dog specific ones instead. Baked foods: Xylitol is used in many bakery products in order to make it diabetic friendly. Medication: Found in many medicines used by us, this is one of the reasons why you are advised never to give human medicines to dogs. Sugar-free: Any grocery that is sugar free usually contains Sugar Alcohol aka Xylitol. It might me trace amounts in some while others may contain larger doses so check before you feed your pet.